As of the 1st of April 2016 (and this isn’t an April Fool’s joke), we have been given the opportunity of managing The Haywards. 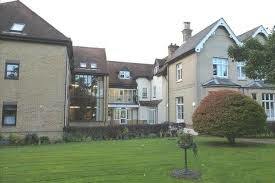 The estate was built in 1989 as retirement accommodation and it offers 25 one and two bedroom flats and bungalows. The Haywards has its own resident manager on site. Our Area Manager Jeremy is looking forward to working with the Estate Manager and the residents to improve the estate as they would expect. When I first visited The Haywards, I was confident that with all RLHA’s experience in managing retirement estates, we could put the smile back on the residents’ faces. I know that our dedicated team will do their best to understand the residents’ needs and what is important to them. As in most of other estates, improving residents’ enjoyment of their surroundings is of paramount importance to us, as is making them safe and attractive. We will try our best and act as though we are personally involved so the residents can enjoy their happy retirement in the pleasant surroundings.